A flight from Sidney to Los Angeles has a terrible accident, with the plane breaking in two pieces and crashing in a remote island. After the initial shock, the survivors of the front section organize themselves as well as they can, setting a beach camp and finding food and water. They only have a very vague idea of where they are, but hopefully they’ll located be rescued soon. But things start to get stranger by the moment - What are those whispers they hear whenever they get deep into the forest? Who’s broadcasting that transmission they get in a walkie-talkie? And how the heck are there polar bears in a tropical island?! 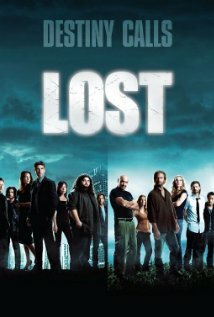 During it original run, Lost certainly made merits to be one of the most talked abouts shows ever. Thanks to the popularazition of the internet, forums, blogs and chats all over the world boiled every week with theories about the show’s mysteries. The writers must be commended for the way they gradually delivered new and growing revelations each season, weaving a fascinanting and complex web. While some say that there are just too many plot points toward the end of the series, one just wants to keep watching. And of course, Lost features one of the most enjoyable set of characters in recent years, like Jack, the tormented yet brave doctor who unwillingly becomes the leader of the survivors group; Kate, a beautiful young woman with too many secrets; Sawyer, the tough and handsome guy you’ll love to hate; Sayid, the resourceful iraqi guy with a dark past; and Locke, a man in constant exploration of himself and the island’s secrets. With its mix of genres and original storytelling, Lost has something for pretty much everyone. Are you willing to try and solve the riddle? 25 April 2007 - Season 3, Episode 18: D.O.C. 12 April 2006 - Season 2, Episode 19: S.O.S. 10 May 2006 - Season 2, Episode 21: ?